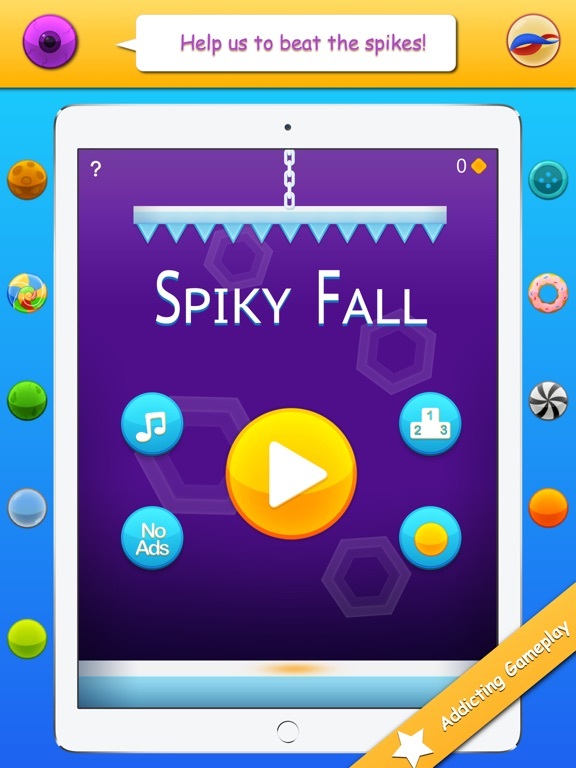 Universal Spiky Fall - Can you score more than 100? 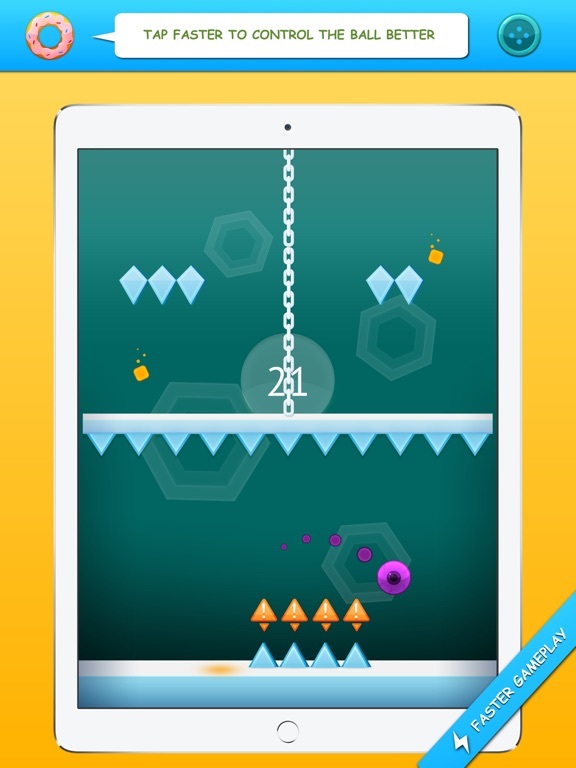 Discussion in 'iPhone and iPad Games' started by nischal62019, Mar 11, 2016. 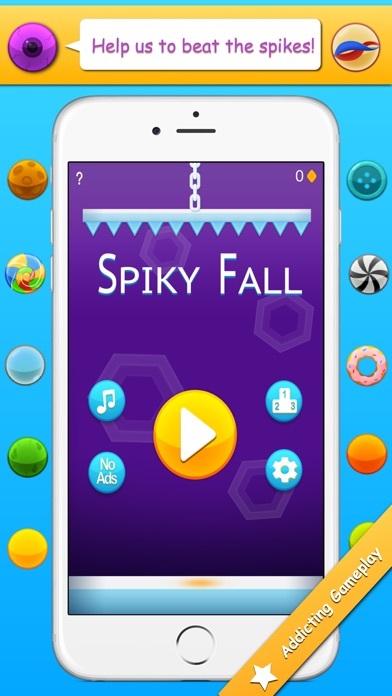 I have released my first game "Spiky Fall" last week, it is a simple single tap game, with endless gameplay and lot of characters to unlock, its simple to play yet hard to master, try it out, can you score more than 100? 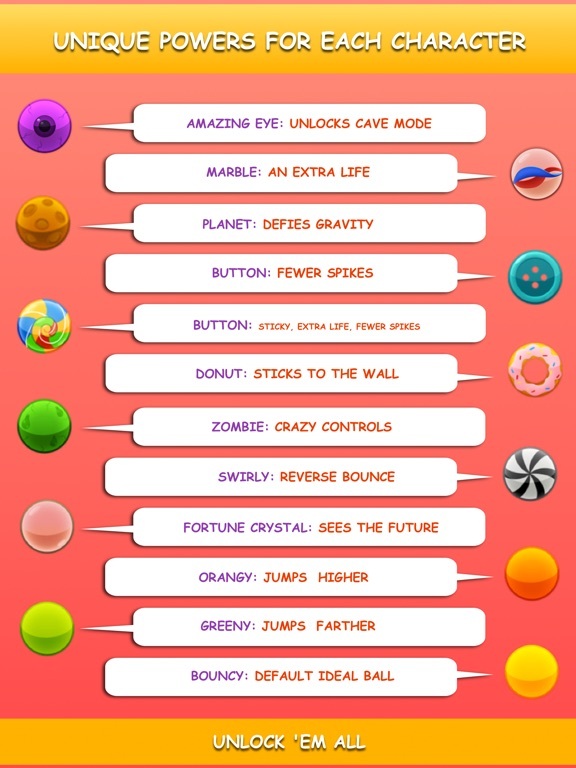 Please do check it out and tell me what you think of it. 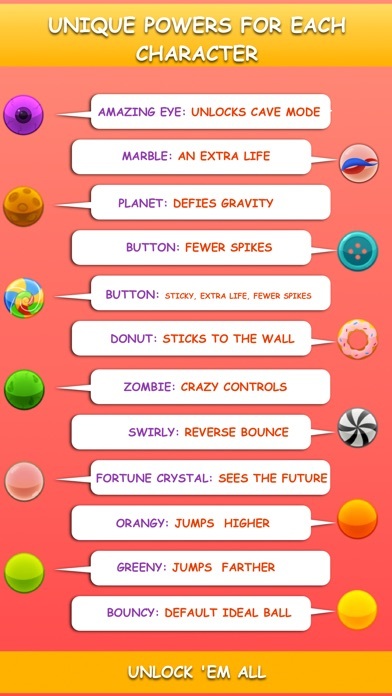 Save the bouncing ball in this spiky world. 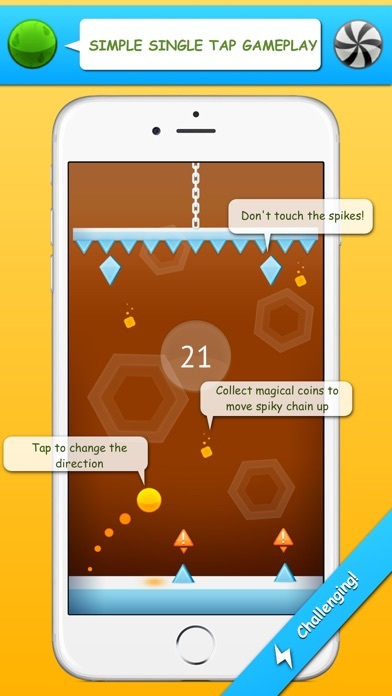 - Don't touch the spikes. 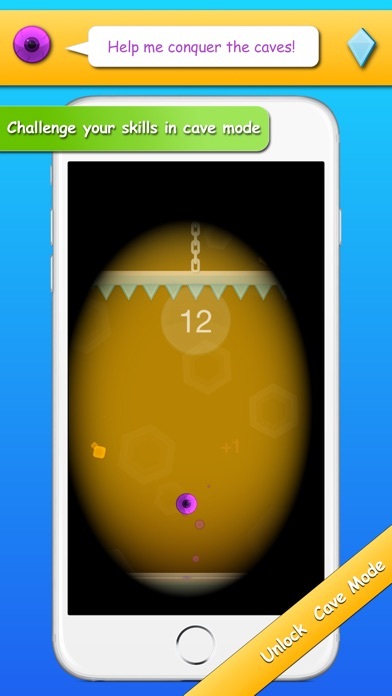 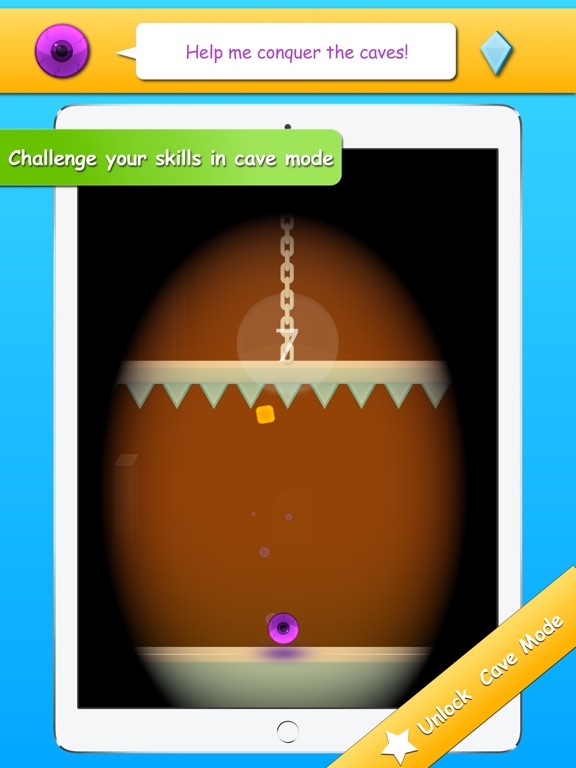 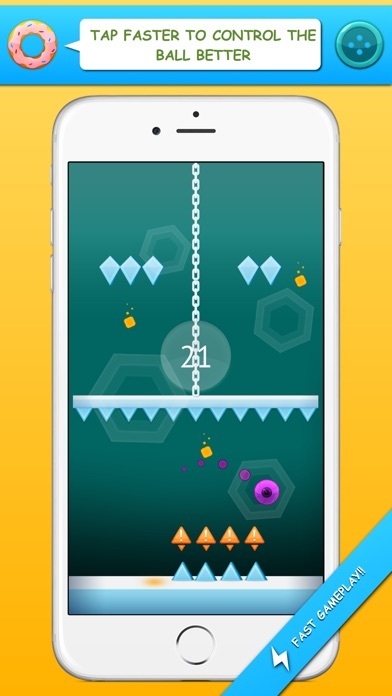 - Collect orange coins to move the spiky chain up. 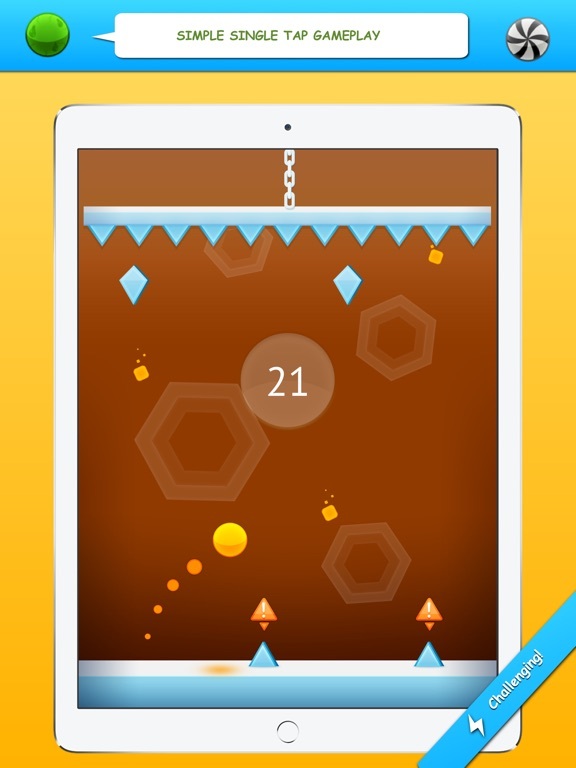 Just tap the screen to change the direction of the ball, more you tap better you can control the ball.